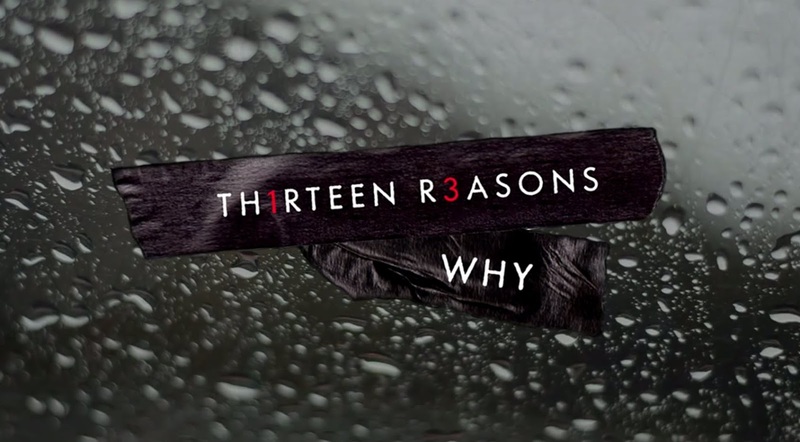 Home mental health 13 Reasons Why: Beneficial or Disturbing? 13 Reasons Why: Beneficial or Disturbing? It's not until I sat and thought about this show properly that I realised that it does have destructive qualities and there are some scenes which are just not ok. However, I am not dismissing the show completely and I 10/10 appreciate their trigger warnings at the beginning of the episodes. I do believe that certain aspects are definitely beneficial in order to spread awareness within society of the implications of bullying and how mental health and deterioration isn't always obvious, you may feel as though you know somebody but really, you have no idea what they are actually thinking. The show is useful in the sense that it is able to convey a powerful message that people may actually internalise and apply to their own lives. Although, this is where the problem lies; how much of this show are people going to internalise? My point is that(without giving away too much of the story), Hannah is focused on other people and how other people treat her that she forgets to look after herself. Without the reassurance and company of other people, she begins to feel worthless and empty. Admittedly, this is also due to the incessant bullying and other dreadful events that she faces but it is the idea that you can't fix yourself, you have to let others fix you. If you've been here for a while, you know I completely oppose this. You can fix yourself. At the end of the day, the world has the ability to be a God awful lonely place for some people and so, you've just got to learn to be ok with yourself. I'm not saying this is easy but it makes me uncomfortable that the show displays Hannah as reliant on other people and dependent on the love that Clay gives/doesn't give her. Something that particularly disturbs me is the way that Hannah's death was so graphically shown and I think that this has the ability to be incredibly detrimental. For example, if someone who was feeling these type of suicidal emotions was watching the show and then, they get to about 10 minutes of watching somebody kill themselves, there is no way that's going to have a positive effect on them. Actually, it's not going to have a positive effect on anyone. I also think that Hannah's death is glamorised in a way. When she dies, she lives through the tapes and so, it does not portray the situation realistically; the viewers and the characters within the show become consumed and obsessed by the drama and what caused Hannah to commit suicide that they are not acknowledging that she is gone and it is final, they aren't thinking why she is gone, they are thinking "what's the next reason?". These tapes bother me because somebody who commits suicide doesn't leave 13 tapes and sometimes, there is no closure for the family and friends, they don't know what caused their loved one to do this. I've also heard that there is going to be season 2 made which I don't think is right at all because it's acting as though suicide can be fixed for someone who is already gone. They should be leaving it at season 1 with unanswered questions because that's the reality of this. However, there's some parts of the show that are particularly intriguing to me and highlight that there are problems in the education system and how people react to mental health and suicide. If you've watched the show, you'll know I'm talking about Mr Porter. When Hannah confesses her suicidal thoughts to him and at this point, we think that she might actually be getting help, he simply gives her a box of tissues like that's going to fix all of her problems. He's supposed to be a counsellor. Essentially, Hannah is told to get on with it. This portrays how teenagers are reacted to when they talk about their mental health, they are dismissed because they are "just that age", it's "just hormones" and really, the proffesional doesn't notice until it's too late. So, although the character of Mr Porter does completely dismiss Hannah, this has the potential to be beneficial in society as people may realise hidden signs. One can hope anyway. Overall, whether the show meant to glamorize suicide or not, it has done. It is good at showing what bullying can do to a person but I do believe that it is too graphic and it doesn't cover some aspects correctly which could be dangerous and this concerns me a lot.